Below, please find a message and link from Margaret Mayce, O.P. (DLC/NGO Representative to the United Nations) regarding the Human Rights to Water and Sanitation toolkit. In conjunction with International Human Rights Day on December 10th, several of our partner organizations (Blue Planet Project, FLOW-For the Love of Water, Canadian Union of Public Employees, KruHa Indonesia and La Red Vida) are launching the Human Rights To Water and Sanitation toolkit. This project was a collaborative effort between water justice activists and human rights lawyers from around the world. Together they have documented key legal victories and local case studies that emphasize how the human rights to water and sanitation are being claimed by communities around the world and implemented in a manner that strengthens campaigns against the corporate takeover of water. Hopefully it will be a good educational tool for you and encourage you to respond to our global water crisis in whatever ways you can. 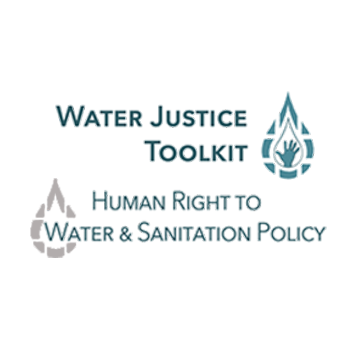 Please click here to learn more about the Human Rights To Water and Sanitation toolkit.